Located in the heart of Northern Suburbs, this apartment building is 0.8 mi (1.2 km) from Royal Melbourne Showgrounds and within 3 mi (5 km) of Flemington Racecourse and Melbourne Zoo. Newmarket Station is 11 minutes by foot and Kensington Station is 15 minutes. An outdoor pool, an outdoor tennis court, and coffee/tea in a common area are available at this smoke-free apartment building. Free WiFi in public areas and free self parking are also provided. Other amenities include a business center, concierge services, and dry cleaning. 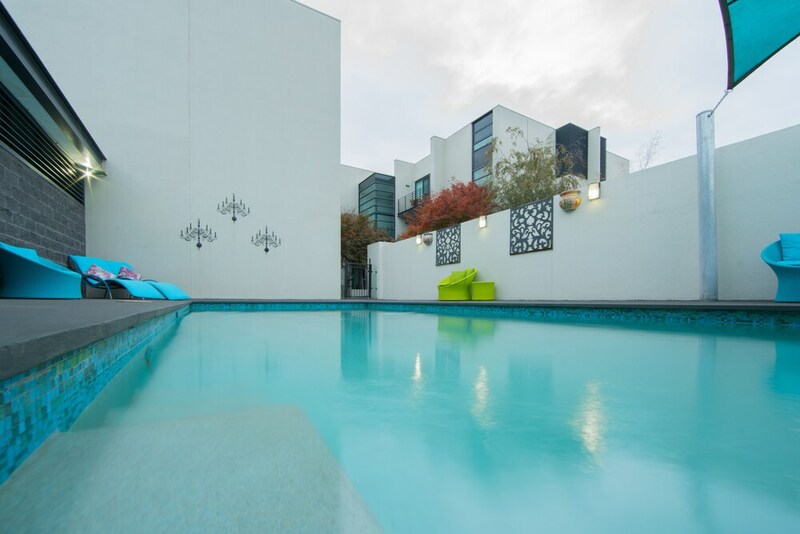 Each apartment boasts a private pool and offers free WiFi and a kitchen. Guests will appreciate conveniences like a washer/dryer and a living room, while an LED TV with cable channels and a DVD player provide a bit of entertainment. Limited housekeeping is available. Quest Flemington features an outdoor tennis court and an outdoor pool. A computer station is located on site and wired and wireless Internet access is complimentary. A business center is on site at this 4-star property. This business-friendly apartment also offers a terrace, tour/ticket assistance, and barbecue grills. Onsite self parking is complimentary. Quest Flemington is a smoke-free property. This property's policy is to refuse certain bookings for the purpose of group events or parties, including pre-wedding stag/bachelor and hen/bachelorette parties. Only registered guests are allowed in the guestrooms. The property allows pets in specific rooms only and has other pet restrictions (surcharges apply and can be found in the Fees section). Guests can arrange to bring pets by contacting the property directly, using the contact information on the booking confirmation.